An hourglass is like a never stopping consistent flow of life, which has a constant flow of problems that cut at you like a knife. One situation right after the other, one delay followed by another...I wonder if it will ever end? But yet, the hourglass of life continues to move forward never stopping without an end. Oh my, missed opportunities and shattered dreams, will I ever achieve what I've set out to do? Why does it seem like I'm being punish...my God what have I done to deserve this too? Can He hear me, will He ever respond? Who else, where else can I turn to for support while I'm being pulled beyond? Not my friends, not my relatives for they have me misread. They pat my back while asking me disturbing questions to get inside my head. Why would I expect them to understand something that's meant just for me? So now I just realize that they can't help me. But yet, the hourglass of life continues to move forward never stopping, causing me to cry out different types of pleas. I'm tired physically and mentally I can do no more as I sit here pondering my future while kneeling on my knees. Why has God tormented me with these passions and talents? My God please open a door for me! Why give them to me and allow them to waste from within? My God I pray to thee...help me! So now I must rest, with my skin on my face itchy from the many tears that have ran down my cheeks. While my heart is breaking I begin to cry out, my God...haven't I been meek? A failure, worthless without a purpose is what I feel myself to be. But yet, the hourglass of life continues to move forward never stopping just working against me. My child why have you doubted me? What's this question that comes to me? My child for if you are a failure, then so is me. You prayed, "My God I pray to thee...help me!" Now open your eyes and begin to see. My God, what's this? I see angels helping me! All the things that I did were just preparing me while I waited for an opportunity. 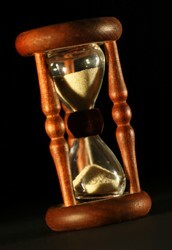 I felt pressure for I knew that the hourglass of life continues to move forward - never stopping just a mystery. "Now hear me," my Lord just said to me. As the hourglass of life continues to move forward never stopping, just a consistent flow that will eventually lead to Me, you have been learning from Me wouldn't you say so? I could have put you in your dream years ago, but you would have been toss to and fro. So just like you prayed, "My God I pray to thee...help me; I ask this of you, "My child...trust me!